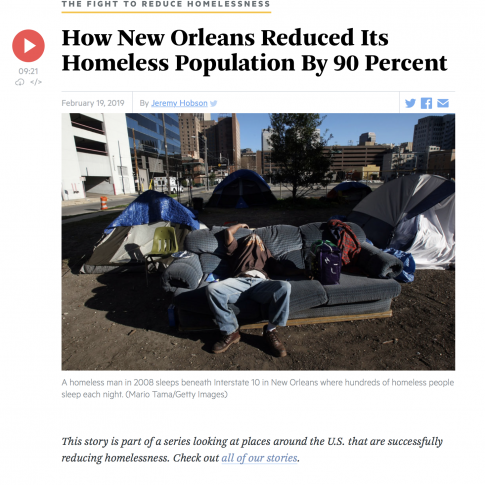 The fourth and final entry in NPR’s series “The Fight to Reduce Homelessness” discusses the city of New Orleans and how, in the years post Hurricane Katrina, they were able to reduce homelessness by 90%. 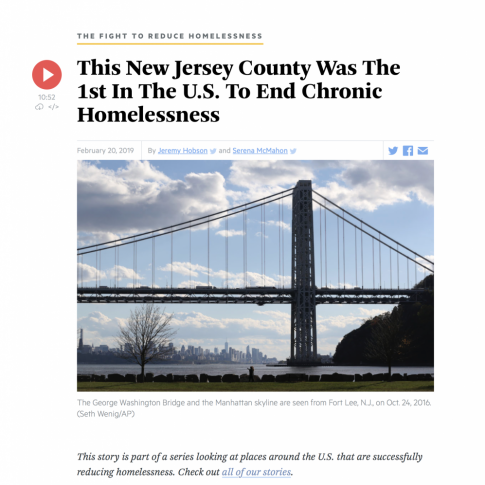 The third entry in NPR’s series “The Fight to Reduce Homelessness” examines the success of Bergen County, New Jersey, which, in 2016 and 2017 respectively, was certified as having eradicated veteran homelessness and then chronic homelessness. The second installment in NPR’s series, “The Fight to Reduce Homelessness”, focuses on some Chicago area hospitals which have begun providing permanent housing for homeless patients who had repeatedly shown up in their emergency rooms. 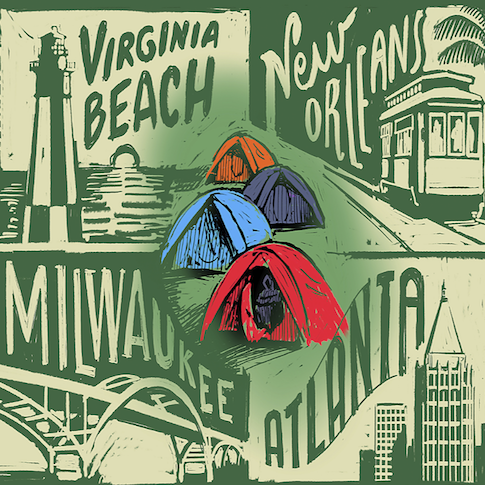 The shift was in treating homelessness as a health issue. 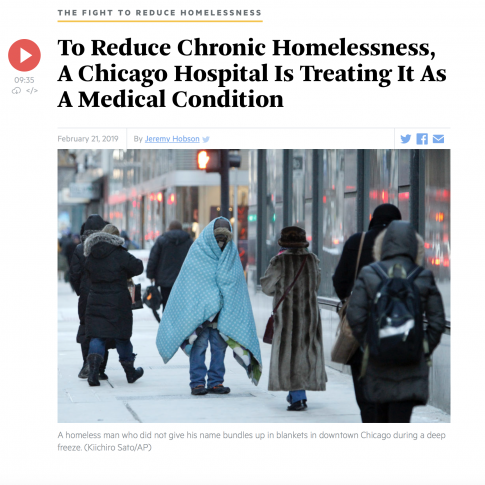 In doing so, the hospitals have found that health care costs have been reduced and that the health of the homeless patients have been improved. 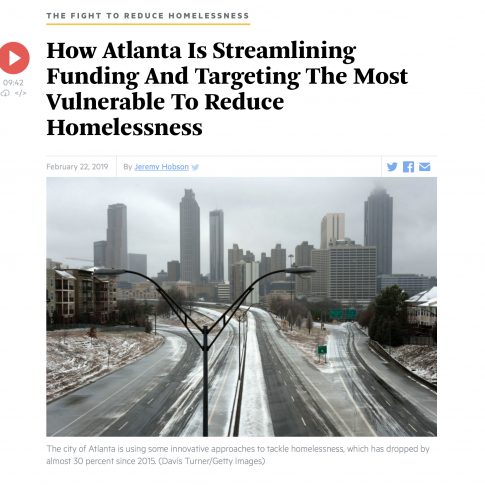 NPR has released a series called: “The Fight to Reduce Homelessness.” The first entry focuses on Atlanta and how they have innovated to manage budgets and strategize solutions in their fight against homelessness. They have reduced their homeless population by 30% since 2015! What can Seattle learn from cities where homelessness has dropped? From The Seattle Times: What can Seattle learn from cities where homelessness has dropped? The Seattle Times is running a series called “Project Homeless.” The latest installment looks at success in other cities.